Your family can now experience movies in a whole new way with 4DX in theaters. 4DX is an immersive multi-sensory movie experience. 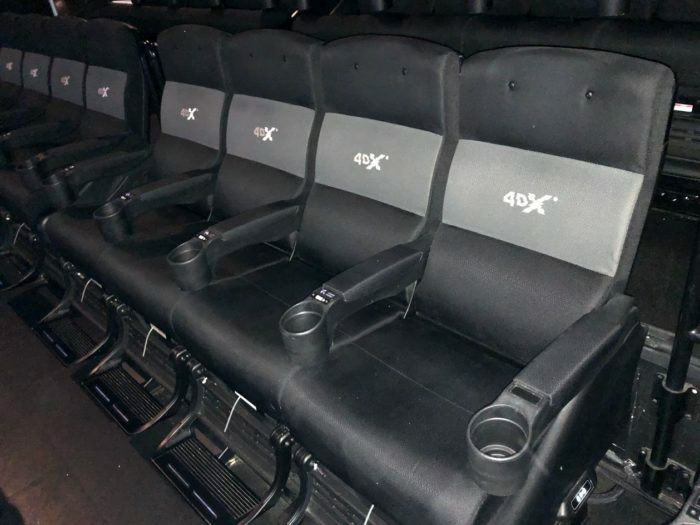 Each 4DX auditorium incorporates motion-based seating that is synchronized with more than 20 different effects which allow the audience to connect with movies through motion, vibration, water, wind, snow, lightning, scents, and other special effects that enhance the visuals on-screen. 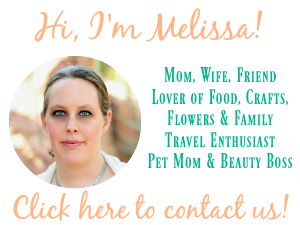 It’s like spending over an hour on your favorite amusement park ride without any of the lines! 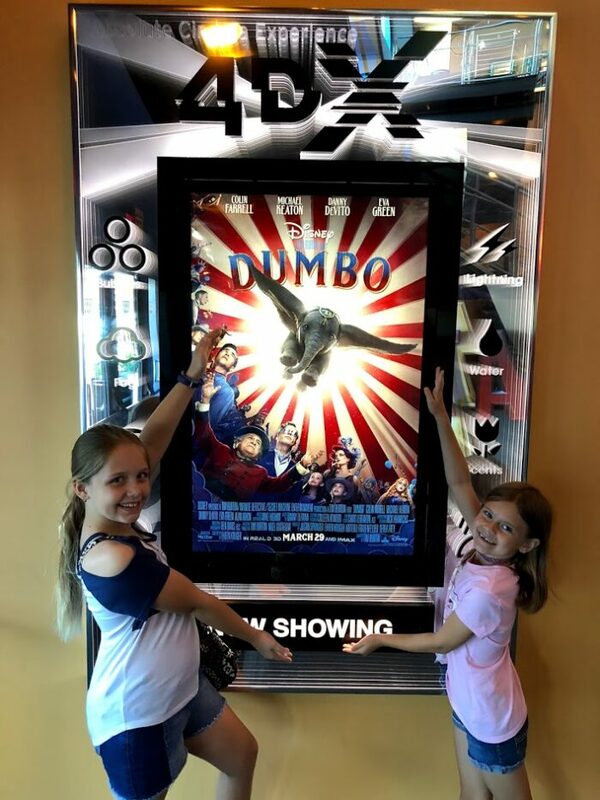 I took my girls this past weekend to see Dumbo in 4DX and it is definitely an experience the whole family can enjoy together! Here is my picture of what the seats look like in the Orlando theater. I image they are all similar at each location. They move in sets of 4. So these 4 seats pictured are on the same mechanism so to speak then there is a small space before the next 4 seats. My girls find the seats super comfy. Here we are prepped for the movie. Make sure to keep your drink in the cup holders and hold on to your popcorn so it does not go flying! Check out this clip below of Dumbo in 4DX: Inside the Theater 360º VR. This gives you a great idea of what the whole experience is like. 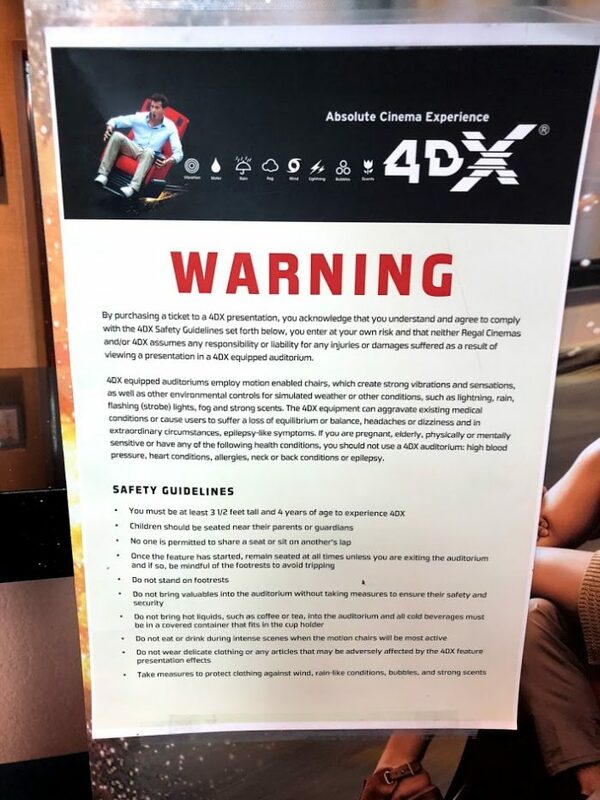 Here is the warning listed at the theater for 4DX. This is all standard but take note of the age and height requirement. You must be at least 3 and a half feet tall and 4 years old. No lap sitting! The seats really do get a lot of motion and as always…safety first! 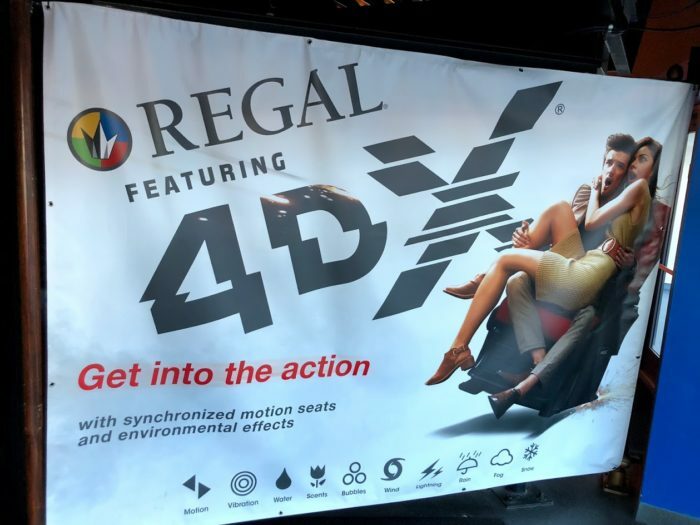 If the theaters listed below are currently not near you, don’t worry as 4DX is rapidly expanding its footprint with Regal this year and will soon have over 85 locations in the U.S! More than 570 Hollywood and local titles have been screened in 4DX. To date, more than 70,000 4DX seats operate in 590 auditoriums, spanning 61 countries. 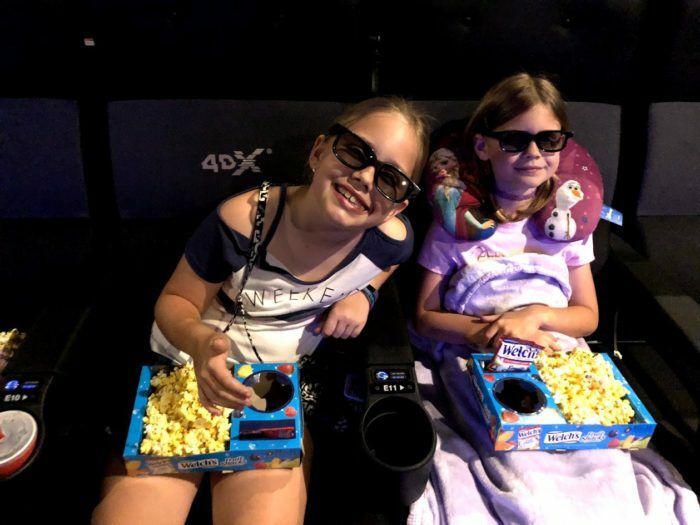 We LOVED watching Dumbo in 4DX! Movies can not be more exciting than this! We now like to use going to the 4DX theater as a special treat! We can use trips to see movies in 4DX as experience rewards for good grades and good behavior in school. 4DX is an amazing movie going experience and one that has to be experienced to truly appreciate its awesomeness. Make sure to check out Dumbe in 4dX theaters before it flies away! You can connect with 4DX on Facebook, YouTube and Twitter.